Despite what today’s celebrities and “women’s magazines” may want you to believe, there is only one true, time-tested way for you to catch a man — even if you’ve been a malevolent disembodied spiritual presence for thousands of years and have only the faintest memory of ever having retained the corporeal form of a “lady.” Especially if you’re a malevolent disembodied spiritual presence, in fact! You think the regular rules don’t apply to you, and that’s why people keep sleeping with you and then never calling you ever again. Perhaps you’re just a simple small-town girl who can’t understand why real love keeps passing you by. Or perhaps you are an abaia, the gigantic, magical eel of ancient Melanesian myth, and you also can’t understand why real love keeps passing you by. Either way, you’ll benefit from this volume of earthy, tell-it-like-it-is advice about how to break your bad habits, learn what a healthy relationship looks like, and truly open your heart to love (if you have secondary brachial hearts in the back half of your body to regulate blood flow in your rear/ tail region, you only need to open the first heart to love, natch). 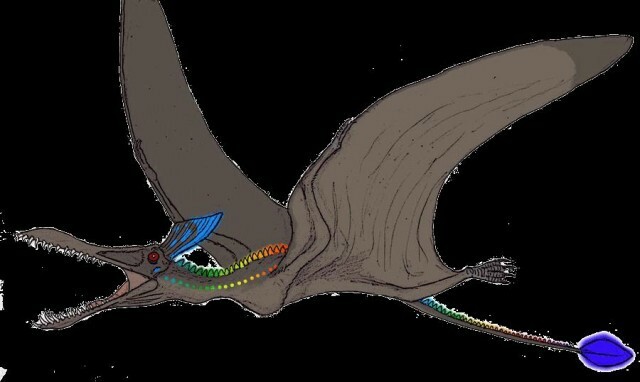 Everyone knows that being an obscure flying cryptid who reportedly resembles a glowing pterodactyl and has only ever been sighted in Papua New Guinea is one of the number one indicators for low self-esteem and depression. But that’s no excuse to let your partner treat you poorly! Learn to love yourself first, girl (ropen)! Stop wasting precious time getting together with other members of your fetid sisterhood of swampy damnation, guzzling cocktails and analyzing your date with that lawyer who never called again! Face it: he didn’t lose your number. He’s just not that into you. Maybe it’s because you wouldn’t stop texting during the date, maybe it’s because your hair is made of eels. The important thing to remember is, it’s not your problem! There is a perfect partner out there who loves you for you and your body made of rich, nutrient-dense seaweed. Go focus on finding them! Defeat the communication problems that plague many relationships between human males and the werewolves who stalk them silently through the misty night, waiting to feast on their succulent man-meats. Gabrielle Moss thinks like a gryphon but acts like a Mongolian Death Worm, and that’s why she’s never known true love. You can follow her on Twitter @gaby_moss.